Last week everyone anticipated it. Today it's over. It's almost like Christmas--days and days of anticipation, then it's over, and all that's left behind are shreds of wrapping paper, the question of what to do with the cards we received, and take down the decorations if you can find a place to put them. One editor of my acquaintance asked, half-jokingly, what she was going to do with her eclipse glasses. I suggested putting them on E-bay as "pre-owned." We aren't facing that problem, since our viewing of the eclipse was divided between watching the progress of totality on TV (we chose the Weather Channel, although there were many options) and seeing the partial eclipse here at home using the tried-and-true pinhole method (also known as the "camera obscura.") The spectacle was great, and I'm glad I saw it, but it didn't take up my whole day (or consume my whole life, as it seemed to for others). Although George Burns warned that, at his age, he didn't even buy green bananas, I've decided that the only way to be a full-time writer is to make long-term plans. So I spent a fair amount of time yesterday doing just that. I'll be revealing them over the next several months, and I hope to give a heads-up first to those who receive my newsletter. If you don't already receive it, please click here to start the subscription process. 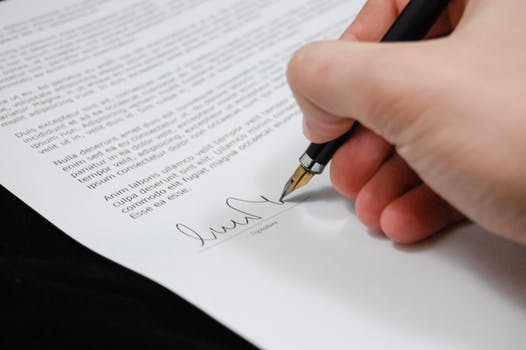 I will say that I've just signed a contract to produce an audio version of my most recent novella, Doctor's Dilemma, which I hope to have out in November. That's about the same time I'll release my next novella, Surgeon's Choice. There's lots more, so stay tuned. I'll get back to you soon--certainly before the next eclipse. In researching a quotation that I had a vague recollection I'd already used in my blog, I came across this post I did for Writer Unboxed back in 2011. 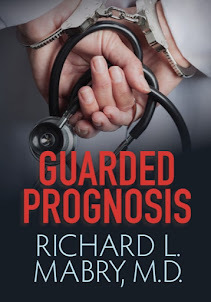 At that time, I'd just submitted my fourth novel of medical suspense to my publisher, and had fulfilled my multi-book contract. I was, in the language of acting, "between engagements." The post is about what I planned while waiting. Before the post had been up for long, my agent received an offer for a multi-book contract for me with a publisher that I told some of my friends represented "the New York Yankees" of publishing. I went on to write and publish three novels with them, some of them award winners, but unfortunately my sales numbers weren't what the higher-ups at the publishing house wanted, so they didn't give me a new contract. What followed was sort of like Joseph's dream interpretation of the fat and lean years of Pharaoh--I went back to my previous publisher and produced three published novels by them before they closed down their fiction line. Then a contract that, for reasons that need not concern us, was never fulfilled. And finally, my latest novel being turned down by a number of publishers. What was left? I decided to "go indie," a route I'd already taken with three novellas. The result was my novel, Cardiac Event, that released about a month ago. If you read the comments from the post in 2011, you can tell that some writers were already turning to independent publishing. The last time I looked, independent or hybrid (published by traditional publishers and also indie-published) has continued to grow. What do you think about it? I'd like to hear. PS--I have two novellas and a novel already written, and at present I'm making plans to self-publish them all, unless someone offers me a contract I can't turn down. Feel free to join in the discussion on that, as well. Tweet with a single click. "Do you think the independent publishing movement is gaining momentum." NOTE: Today I did an interesting interview at RelzReviewz, with a giveaway. Yesterday I did a guest blog post at Seekerville. Read what I have to say about "What's An Author To Do," and enter to win a copy of my latest novel, Cardiac Event. (The subject matter goes deeper into my publishing journey). Also, author Patricia Bradley is reviewing my novel at her blog today. I hope you'll read all these. Recently I asked what I should feature on these Tuesday blogs. A few of you replied that you thought it would be neat for me to let you have a closer look at my life on these blogs "about stuff." Today I'll tell you a bit more about why getting away for golf is important to me. As my golf partner and I left the municipal course where we normally play, we saw some very young golfers leaving with their parents after a morning of lessons. We both said we wished we'd started learning the game at that age. My own introduction to golf came when I was in high school. I'll never forget how thrilled we were when a "pro" from the nearby big city of Fort Worth came to give us a lesson. Of course, I had no idea at that time that you weren't supposed to put that huge bend to the right on drives. It took a long time before I figured a slice, even if the ball went a long way, wasn't a desired result. Jerry and I started playing golf together when I sat in his office just before we went to the court house to probate the will of Cynthia, my first wife. He suggested--probably because he saw how depressed I was-- that we should get together for a round of golf. We set it up, and we've continued the practice for almost twenty years. It's taken us through the deaths of both our wives and the marriage for each of us to the new ones to which God led us. When I accompanied him to Molokai to scatter his first wife's ashes, we played a round of golf while we were there. It wasn't memorable for the way we played, but the companionship was good--and necessary. We don't keep score anymore, and if we hit a shot we don't like, we hit another one. But no more than a couple of mulligans at any time, or we lose track of where all the balls went. Anyway, that's where I am on Wednesday, weather permitting. The golf isn't great. Getting away is. So what's your "get away" activity? I'd like to hear. Tweet with a single click. 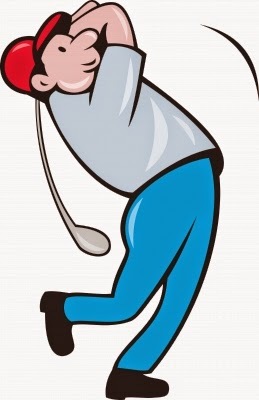 "Learn why golf is author Richard Mabry's get-away activity." NOTE: I told you I'd try to keep you posted on interviews and guest blogs. If you go to this one, you can read a fun interview I did and enter for a Kindle version of my latest book, Cardiac Event. I'm sometimes asked why I write free-standing novels. This is true in the majority of cases, although I think there've been a couple of times when I revisited a setting, such as using the same town and a few of the same characters from Diagnosis Death in my novella, Rx Murder. I've mentioned why I did that in my last Friday post. 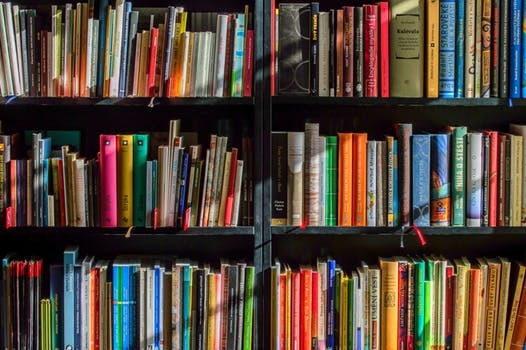 The answer to why I don't write series is simple: my first publisher didn't care for them, and I've simply continued the practice through eleven novels and three novellas. Series work for some people, and I applaud their success. For me, it's probably inertia that's kept me writing this way. Granted, it's easier in some ways to write a series. There's no need to invent new characters or settings. But an author needs to be aware of the evolution of his/her characters. For example, I'm reading my way (once more) through the Spenser novels of the late Robert B. Parker. In one of his earlier books, he introduces The Grey Man. In this book, he's a hired assassin, and a good one. But he talks like a thug (although an educated one, and an accomplished hit man). That same character shows up at least a couple of times more Parker's books, and by the last time we see him he's a suave man-of-the-world with a background of working for the CIA and speaking several languages... You see what's happened. He's not only matured, he's changed. Many authors try to avoid this, whether they write series or stand-alones, by keeping some type of character log. One writing app, Scrivener, even has a place for one. Let me say that, although I applaud those who like it, Scrivener has never worked for me. I write in MS Word, and it has served me well thus far. Here is a screen-shot of a part of the character list for my latest novel, Cardiac Event. Of course, a good editor will catch any incongruities in the story, including having the character live in an apartment in one scene and a house in another, or driving two different types of cars, or--and it's happened--being a blonde in one scene and a brunette in the other. But an author wants to submit a manuscript that doesn't need a lot of editing, which is why the character list comes in handy. So that's how I keep up with my characters (and why it's important). Do you have comments, or questions about writing? Leave them and I'll address them down the line. Click to tweet. "What is a character list, and why do authors need one?" I've had a request to post a bit more about myself. When you've done interviews for eleven novels and three novellas, you sort of forget that not everyone has read (or recalls) what you said. And I guess it won't hurt me to give you a bit more about me. I sort of got into writing by the back door. I wanted to share my journaling after the death of my first wife, and at the writer's conference I attended I was challenged by a couple of established authors to try my hand at fiction. The book I wrote about life after the death of a spouse (The Tender Scar) was published more than a decade ago, and is still in print. As for fiction, after four novels over four years that garnered forty rejections, I was an overnight success. Cardiac Event was my eleventh novel, and there's a novella due out later this year. I served almost three years in the Air Force in the Azores, and was written up in Stars and Stripes when my hospital commander and I removed a coin from the throat of the daughter of our seamstress. (It was simple for us, but the local doctors either couldn't or wouldn't do it). The other thing about my Air Force service was that I'm deathly afraid of heights, but was called upon to perform (and executed) a helicopter rescue. I've played semi-pro baseball. I could throw a curve ball, but not hit one, so I never made it beyond that level. However, I've attended a number of baseball fantasy camps, got a hit off Whitey Ford, and watched Mickey Mantle hit a home run (although one of the campers had to run it out for him). I've preached (not my best talent) and served as an interim minister of music for a small church (very happy when they called a full-time one) and both a fill-in for the General Protestant services and a full-time one for the Baptist congregation while in the Air Force overseas. There may be other things about me, but I guess this is enough for now. Got suggestions? Lay them on me. Tweet with a single click. 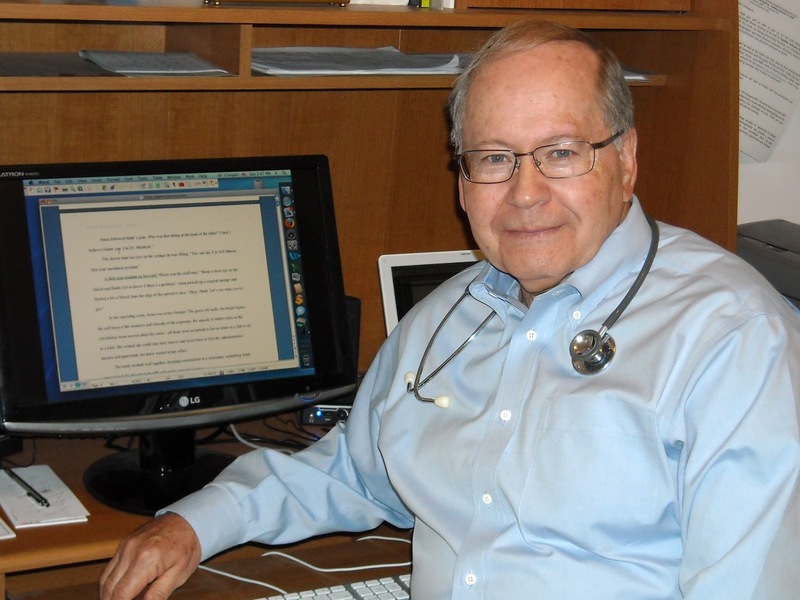 "Things you might not know about author Richard Mabry." On my blog post a few days ago, I asked for suggestions. One of the comments posed some excellent questions: "I always wonder if real people are the basis for fictional characters? Elements of real personalities? Many of your characters come to life on the pages. I also wonder if real-life news or events spark the main story of novels on occasion?" I've made the mistake (and it is a mistake) in one or two of my earlier novels of using real names for characters. One particularly memorable occasion comes to mind when I wrote a character as a deputy sheriff and left the reader wondering if he was a good guy or bad guy. And I used the name of a high school classmate!Then I went back to my home town for a class reunion, and the chairman of the event was the wife of the man whose name I used. Fortunately he was happy about it, but I wrote him into a subsequent novella and made certain he ended up wearing a white hat. Some of my characters are based in part on individuals I have encountered, and often I see an event in the news that sets me thinking, but after that I turn my imagination loose. In my latest novel, Cardiac Event, there's an undercurrent of professional jealousy in the start of the book. I have seen professional jealousy color actions. (Yes, it happens with doctors, the same way as with novelists and any other profession). But I've never seen it taken to the extreme that I portray in the book. As for setting, some of my earlier novels took place in Dallas at the medical center where I trained and finished my career as a professor (a nice closing of the circle in real life). Recently I have set my stories in fictional towns drawn from the city where I live and the one where I attended college. I can make them larger or smaller as the occasion demands, and no one seems to care. And it's no mean task to come up with these names--I have to make certain there are no actual Texas towns with these names. What other writing (or non-writing) questions would you like to see addressed? I'm waiting. Tweet with a single click. 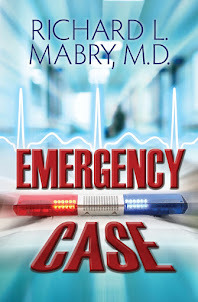 "Has author Richard Mabry ever used a real name for a character in his writing?" According to Blogger, I've posted more than 1200 times here. When compared with some of the other blogs, the number who read these posts, and especially those who post a comment, isn't large. Today my well seems dry, so I thought I'd ask you what (if anything) you'd like to see here in the future. Or does it matter? My usual schedule has been Tuesday--general stuff, and Friday--the writing life. Do you like that? 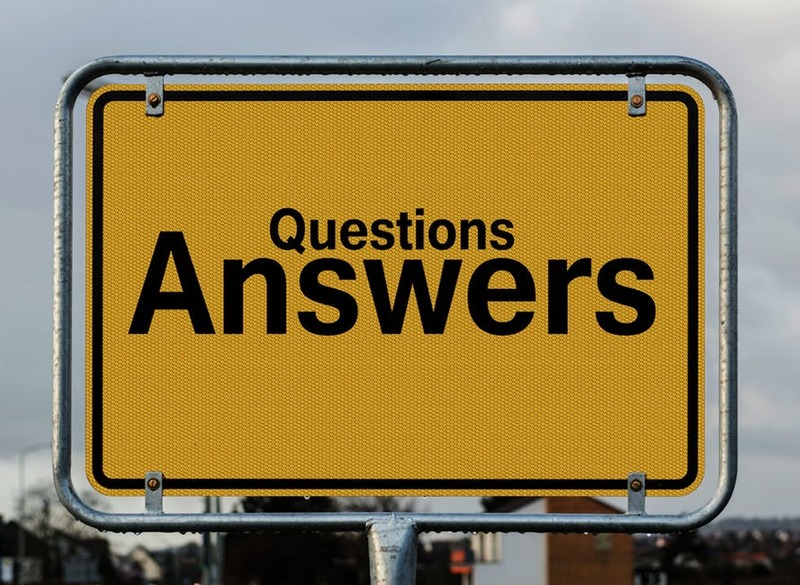 Is there a particular question you'd like answered? Or are you too busy with life to care? I'll be like the cat who ate fragrant cheese, then waited by the mouse hole with "baited" breath. Let me know. Writing: How Long Does It Take? 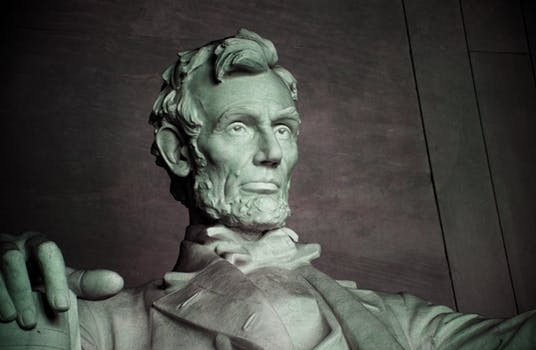 When I'm asked how long it usually takes me to write a novel, I always think of the reply of Abraham Lincoln when he was asked how long a man's legs should be. His answer? "Long enough to reach the ground." In like fashion, the answer to the question about how long it takes to write a novel is, "As long as it takes." Some authors may take years to write an unforgettable novel. Other writers produce several books a year. I've always thought that a novel a year (a time period contractually specified by my cyber friend, the late Dr. Michael Palmer) was a good time frame. However, my contracts have always been for a new novel every six to eight months. I made those deadlines with plenty of time to spare, but there were times when I longed for a more leisurely pace. Then recently, when more than twelve months separated the publication of my novels, I realized that I'd gotten used to the six- to eight-month time period, and I found myself doing what I always advise unpublished writers to do while waiting for a publisher to sign them: I wrote another novel. I've gone into the circumstances elsewhere that led to my becoming a hybrid author--one whose work has been published by a traditional publishing house, but who now publishes his/her work independently. 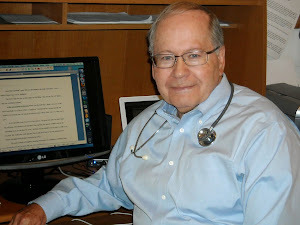 So far, your response to my latest novel, Cardiac Event, has been gratifying. To keep you posted on my plans, I have one completed novel, one completed novella, one novella nearing completion, and at the present time my plans are to release these over the next year. Of course, plans can change, but that's what I have in mind. How long should it take to write a novel? Why, as long as it takes...whether that's a few months, a year, or longer. And now, while I get back to writing, I'll let you answer that question. And I'll be interested to see what you think. Tweet with a single click. "How long should it take to write a novel?" On Sunday, Kay and I watched on TV as Adrian Beltre collected his 3000th hit. It was a great moment, and despite the loss by the Texas Rangers, it made the headlines, both in the sportscasts and the local news. I noticed that in addition to the players on the Texas team pouring out of their dugout to congratulate Adrian on his accomplishments, there were several congratulatory remarks aimed at him by the visiting team. It must be a thrill to be part of history, even when you're wearing the uniform of the opposition. My congratulations to Adrian, who has been a model player for all the years I've been watching him. But what about the people not in the spotlight? The pitcher for the other team didn't want to be the one who gave up that historic hit. Believe me, I know, because I've been on the mound in that situation. His name will forever be part of a trivia question. I doubt that his fateful pitch will have the same staying power as Bill Buckner's error in the World Series, but it will nevertheless link him to the record-setting hit. 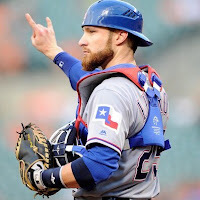 And what about Jonathan Lucroy? He didn't play in the game, but he'd been a part of the Rangers for a year. I don't know when he found out that he'd been traded, but he had to know his name was floating around as part of trade talks. Was his joy for his teammate diluted by the fact that he was about to leave for another team, another league, and another part of the US? I can't help thinking that, although there are lots of people happy about their part in a record-setting athletic accomplishment, there are others whose joy is affected by the way in which they're associated with the event. What about you? Have you given any thought to those who come in second or third, or who don't even place, in a contest? Can you be as gracious in defeat as you are in victory? These are my random thoughts. How about yours? Tweet with a single click. "When athletic records are set, what about the others involved in the event?"